Will you be making the updated charts available as a download or purchase? Doh! Didn’t think about that…..They will be available for sure to 1st edition owners. Sorry for that Carl…the first hours after DEFCON 1 at first edition release had been a true chaos as we were all taken by surprise by the sheer amount of orders. Write down your email in the 2nd echelon reserved copies thread on BGG and I promise you’ll not miss it this time! Wonderful that you’re doing this for those that missed out the first time around. The game is simply a work of beauty and art. Plus it’s a darn good game! Thanks for giving others a second chance. I know you can’t please everybody, and it would be illogical to reprint something when errata is known but I have been collecting games since 1980 and to be frank this is the most expensive game that I have EVER purchased. I need to emphasise that I am games collector – each to their own. 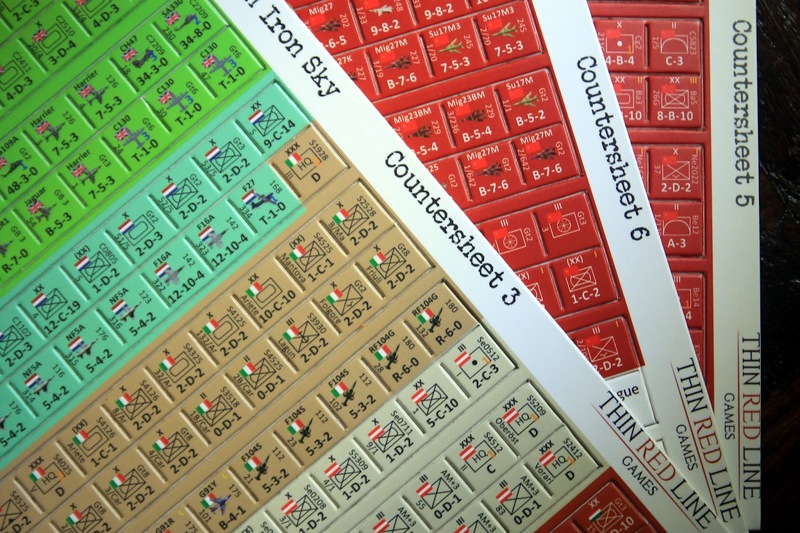 I can’t held but be frustrated that having invested in the first edition for this new company we now find that a second edition is being released – not just a further print run but a game that in effect is being given a title of ‘Second Echelon’ rubbing salt into the wound. I t wouldn’t be so bad if you were just doing a straight reprint – forget the extra title – giving 1st edition owners the option of purchasing the new paperwork, even if not at a discount, but just giving them the option. Think about it – when Deadly Northern Lights come out do I jump in or will there be a ‘second echelon’ with that as well. So, what the first edition owners are really going to miss is the small label in the lower left corner of the box. Would you consider making the updated paperwork available as a separate purchase then, i.e an update? It would just be a case of printing slightly over the 200 sets for anybody who wanted one. the printer will normally print a few extra copies of everything, so I’ll have some to sell….but in my opinion It would be cheaper to print the pdfs at your local store on 130gr paper, particularly considering the shipping expenses. I have to be honest I don’t think we have anybody who could do that here in the UK. Hopefully the postage wouldn’t be so bad – presumably less than sending that MASSIVE box. Providing we are not talking a ridiculous sum I would probably be interested ~ and maybe I am not alone. I don’t know. I have a first pressing of a (now) rare book that was surprisingly popular. A second pressing came out in short order, with better print qualities than the original one. But the original one still commands much higher prices. So, if you’re a collector, I wouldn’t worry about your “investment”. 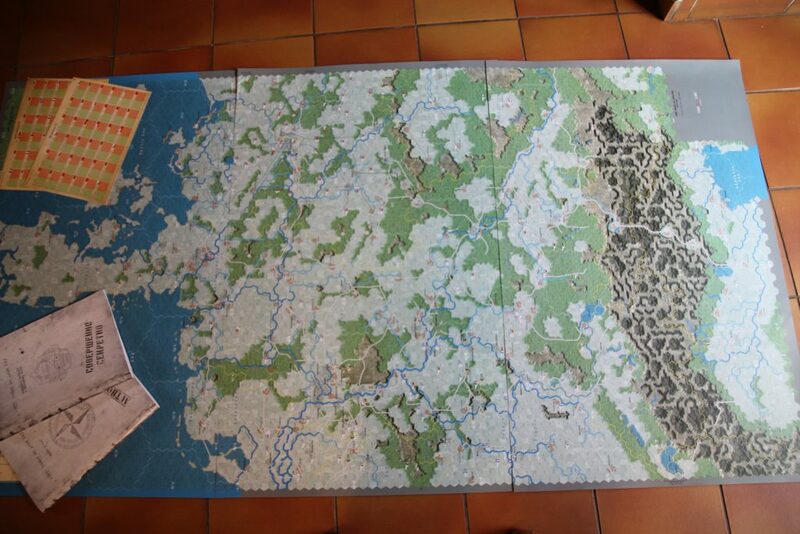 I’d worry more that you really think that wargames are truly investment quality collectibles. They’re just *not*. The niche is too small. No disrespect at all but this has happened before. Where I have been collecting games for 38 years as soon as I say that ‘collecting’ word, and I don’t know where it comes from, people immediately start referencing the games resale value. I have never purchased a game based on resale value but as appreciation as to the time, effort and wonder that has gone into it to recreate the World into ‘a ship in a bottle’ ~ and Under an Iron Sky falls into that category ~ a work of beauty. I buy games like others buy art ~ and it has been in my blood since forever. The point is in all those 38 years I have never paid so much much for a game, then had a second edition released so soon thereafter that is so ‘in your face’ that it is an updated version. I felt like I have bought Leornado da Vinci’s Mon Lisa only for a second painting to come out shortly thereafter called ‘Mona Lisa The One Where She Has All The Fingers’ ~ btw I’m trying to be funny here, not disrespectful. With new print runs things get picked up over time but it doesn’t have to be so highlighted and giving people the opportunity to update is the compromise. The thing is – and please please please don’t read any ‘tone’ into this response. As I say I have used this ‘collecting’ word before in a forum and I just had to step away because despite this being my branch of the hobby I had multiple persons quoting that ‘resale’ word as if i was some carpetbagger on their designing efforts – I never buy games to make money. 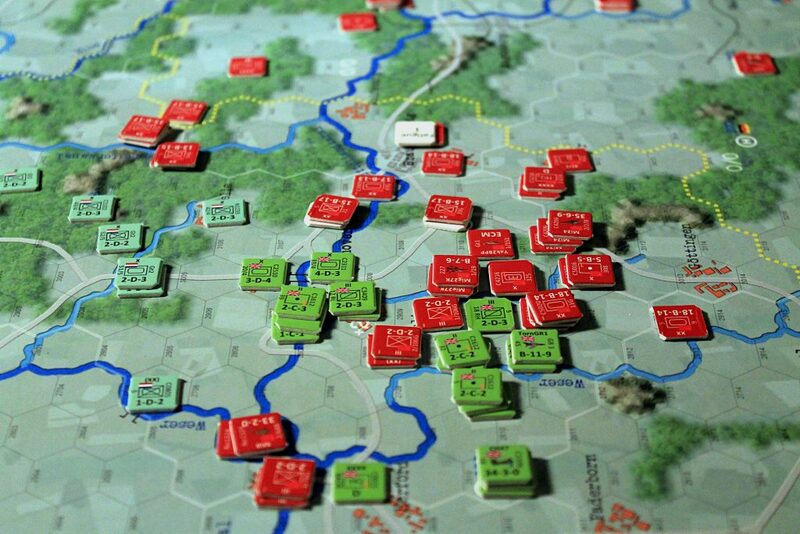 I have sold some games recently simply because they have been bettered by a later release – Squad Leader vs Advanced Squad Leader for example – but it was like giving up an old friend. Oh, and if I drop dead tomorrow I really hope that somebody takes these 100sm possibly 1000s, of games around me and passes them on. Full disclosure: I own three copies of the “First Echelon,” one to play, one to “collect” (yes, collect; it may be a niche market, but almost all collectibles are, after all – just look at the appreciation in price associated with many of the limited print run La Bataille series of games…); and one to resell at a suitable time. I have no problem buying a game to make money on at a later date, and have done so often (it is one way to help fund my gaming). That said, yes it does bother me a bit that this, as advertised, “Limited Print Run” game is being reprinted so soon after initial release; but it only bothers me a little bit, because games are made to be played and there are quite a few people who did not have the opportunity to get one of the First Echelon games, so I say – Print It. 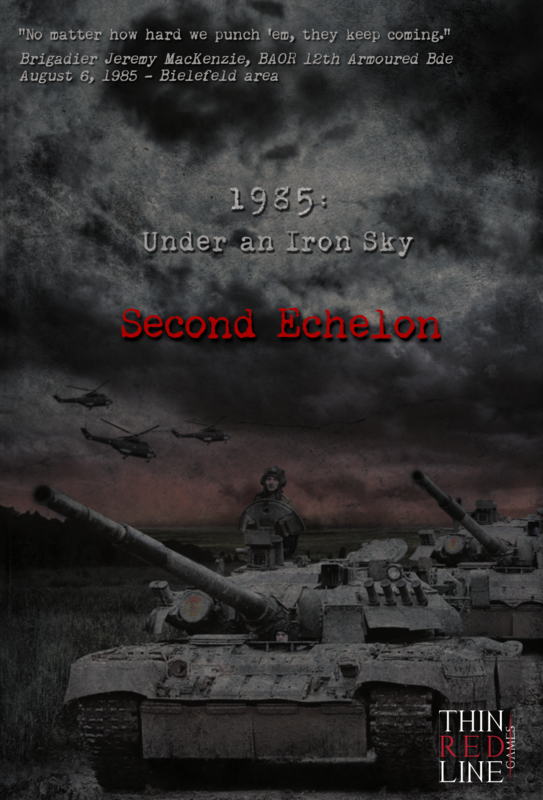 I also agree with Martin that the updates with regard to the Second Echelon would be best made available in both pdf (for free) and a hard copy (price to cover cost of publishing) to First Echelon owners (I’ll take three hard copy updates, please). A great many print shops will NOT print material they believe is currently under copyright. So, if I reserve a copy of the Second Echelon game, will you include three copies of the updates for my three copies of the First Echelon game with my Second Echelon game when it ships Fabrizio? 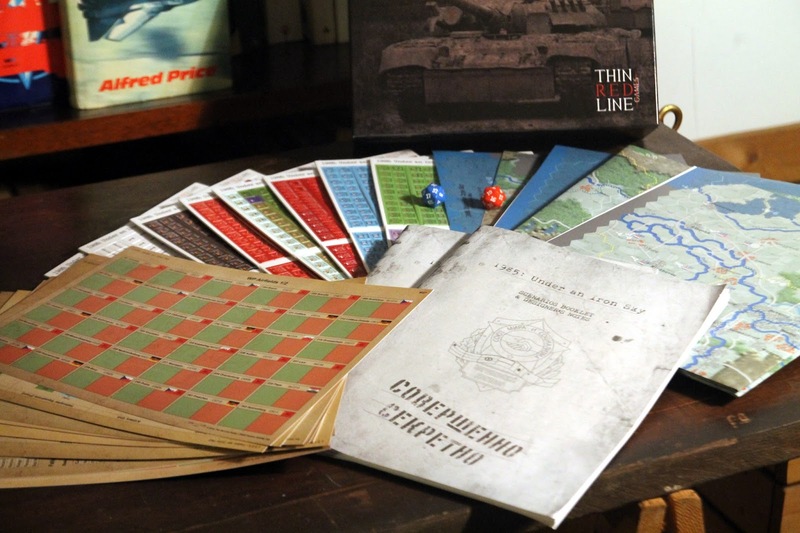 It would be great to see Thin Red Line Games continue in this business and that is another reason I cannot argue against a Second Echelon; there is demand for this product and further sales should help the company be successful. Just don’t throw the term “Limited Edition, or Print Run” around unless that is absolutely true. Thanks for the game Mr. Vianello and company! first of all thank you for being a fan of our beloved (and only, hopefully not for long) child. As far as I remember, I’ve never advertised “1985: Under an Iron Sky” as a “limited print run”. All I said was we were going to print 400 copies, and I never ruled out a second run. KGB Colonel Vianello suppressed a massive yawn and contemplated his new work with with the self satisified inner bliss of one who has completed the “perfect” 5-year plan, or in this case the plan to solve the problems of the initial war-plan against the capitalist swine that was NATO. Of course, the initial plan prepared by him and his team had been nearly flawless, but as ever, wreckers and pseudo capitalist leeches, or even worse, personal enemies of the Colonel, had failed to anticipate events correctly, or even actively worked to smear his plan. But what he had now completed would correct those errors of lesser minds. And such had been the fate of former KGB Major Marco Olivares. An early “genius” in the field of computers, his future had been bright. Too bright. He had sought to replace the Colonel and his team, claiming his computers would do the job better and more certainly, without the corruption of humans. Him, Colonel Vianello, soon to be hero of the Soviet victory, corrupt!! As if a few richly deserved rubles, dachas and women, were anything other than proper rewards of a grateful Soviet State! The Major had been investigated, found lacking in proper Communist ideology, properly denounced, and the gulag it was. But such was the Colonels’ genius that, while orchestrating the Major’s fall, he had convinced him he was actually on his side. And, by arranging a few pieces of meat for the Major’s daily diet of gruel and extra blankets for the Siberian winters, he had succeeded in convincing the Major that, with the his knowledge of computers put to proper use under the Colonel’s guidance, rehabilitation was possible. So the Major had labored 75 hours a week for months with his “computers” to produce what was needed by the Colonel. The generals would receive what they had been clamouring for. Extra resources! Tanks! Planes! Artillery! Ammunition for all the baying hyenas with more stars on their collars than brains in their head! Or so it would appear. Truly perception was reality with the masses. And, now, “IT” was ready. With a push of the special button on his computer, Operation Potemkin was launched. …. payment is handled with PayPal / Credit Card….nothing fancy. Why don’t you offer an update kit that includes the second edition paperwork for 1st edition owners. I know that it is a question of finances at this stage and there is undoubtedly only money in the pot for a 200 copy print run with a few spare components for issues but surely if you offered this option, respectfully asking that those who wanted this would have to pay up front, the problem would be solved. Infact I am little confused as to why this is not happening for the entire 2nd print run – say 300 people wanted more copies….. It just seems so strange doing it this way when we know that the (P500) systems work so well. Infact it would work even better here because there is no FLGS guestimate to add on top of the print run. just want to re confirm my order as reserved on boardgamegeek. 0700 ZT Soviet Second Echelon entering East Germany – Execute Thor’s Hammer. The message will also contain a code to be used for buying a reserved copy on TRLGames.com site, using the standard PayPal / Credit Card channels. Many thanks for such a helpful reply. I hope you don’t mind, I have sent an e-mail to you from e-mail address with some background to my interest in this game which you might find of interest. This is the correct e-mail, as I sometimes miss of the 44!